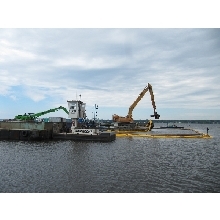 Frame Type Silt Curtain to fully enclose the working area of each grab dredger while carrying out the dredging works, in order to minimise the sediment run away to surrounding area during the dredging operation. 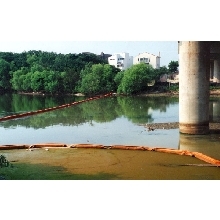 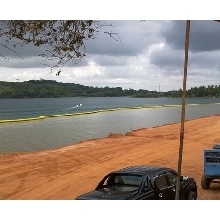 Type 1 silt curtains, are floating barriers that are designed to control various sediments or runoff in calm waters. 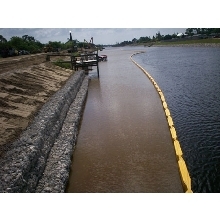 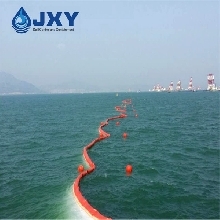 Type II Turbidity Curtain are floating silt barriers designed specifically for areas with moving water, currents, waves, or tides.